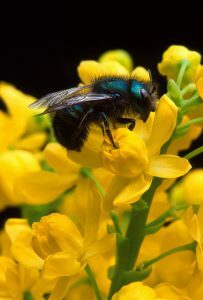 Build a house for mason bees and help a pollinator. 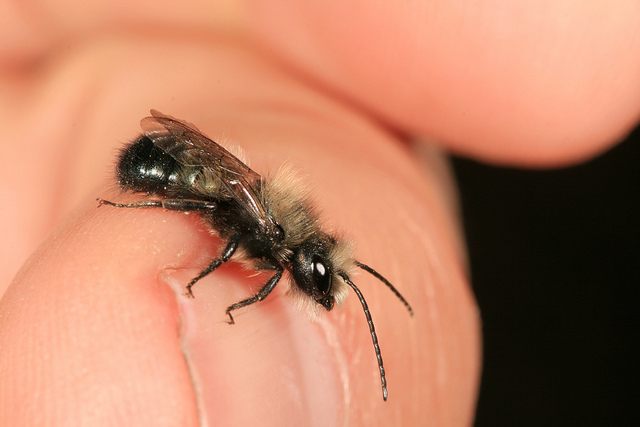 I recently remembered the tiny mason bee (Osmia lignaria)—an insect native to Western North Carolina—while looking for a project for parents or Scout leaders to do with children. These busy pollinators hatch out around this time of year and get to work on the earliest spring blooms. They are especially at home in orchards, but pollinate wildflowers, azaleas, and other flowering shrubs, as well as fruit trees. They are said to pollinate faster than honeybees, and after 4 to 6 weeks of activity, they’re gone! 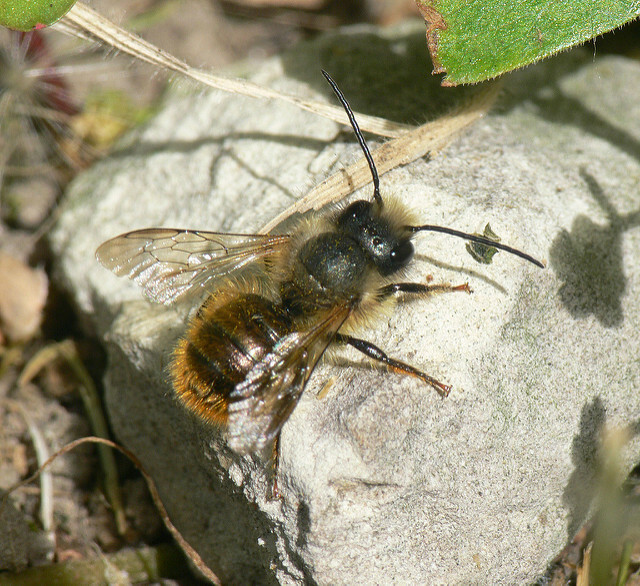 The solitary mason bees do not live in hives. In the wild, they use hollow brambles or stone crevices. Females gather mud to form cells in which to lay their eggs. Each cell contains pollen and nectar to nourish the egg. The eggs will hatch the following spring. 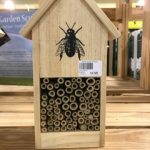 You’ll see mason bee “homes” for sale in garden catalogs, some for as much as $50. These homes are either chunks of wood with small holes drilled into them, or shelters with short lengths of bamboo cut and stacked inside. 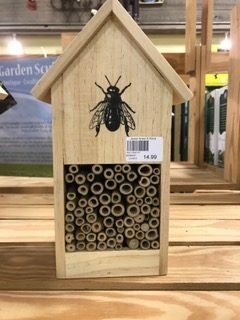 When I was a kid, I made mason bee houses from an empty can and paper straws. So I thought I’d try it again to see if it was as fun and easy as I remembered. 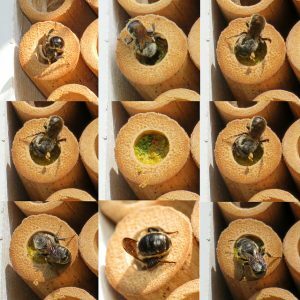 Start with a small coffee can—a good size for the bee’s 6- to 8-inch-long nesting tubes. Wash the can thoroughly and dry it in the sun to get rid of the coffee smell. 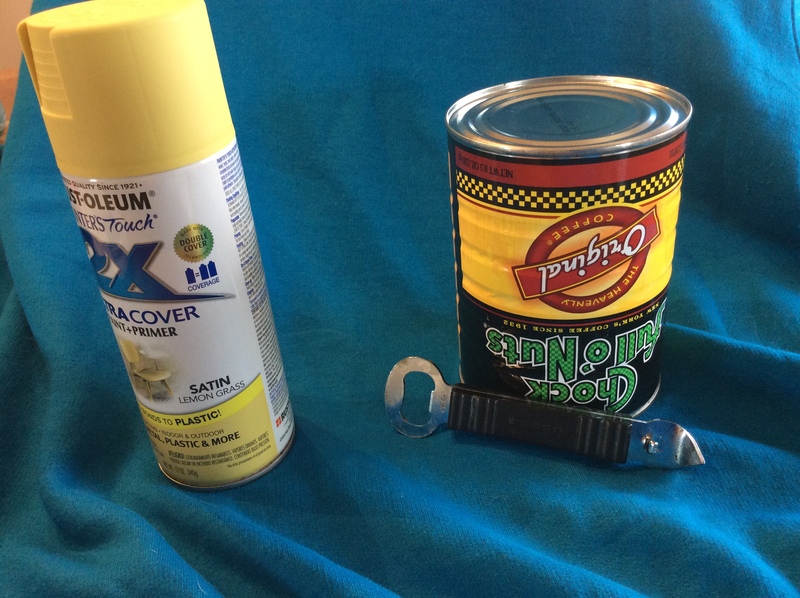 Use a can opener to make a triangle opening on the bottom. 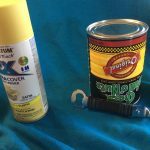 I spray-painted the can and gave it a day or two to dry. The next step is to create the nesting tubes. 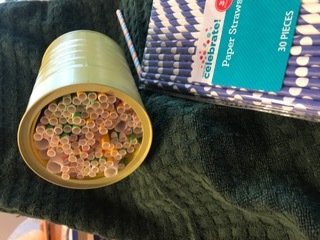 Use paper straws—not plastic, which can mold and infect the nest. 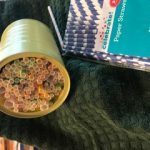 You can make your own straws using baking parchment paper. Roll the parchment around a pencil and fasten it with school glue. Small diameter bamboo canes are an alternative to straws. 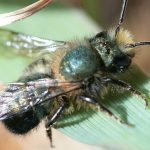 Cut them into 6- to 8-inch lengths, making sure the edges are smooth and there are no knots in the bamboo, because Mason bees have very delicate wings. Hang your house near an early-blooming tree, shrub, or flower. Make sure the home is in the sun, at least 3 feet off the ground, and stable. The bees will not use a house that swings in the wind. After the bees finish nesting in late June, take down your house and put it in a safe place until February. A cool, dry place, like an unheated garage, shed, or basement is perfect. The paper tubes are delicate and will likely collapse if left out year-round. Even houses with bamboo tubes should be brought in to keep winter-hungry birds from devouring your bees. Next year, put the tubes back out in the sun and wait for the bees to emerge. 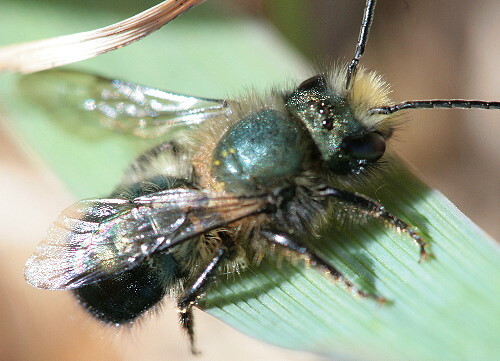 – Male mason bees hatch first, wait around for the females, then die soon after mating. 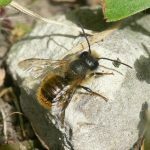 – Mason bees rarely sting unless trapped underfoot or inside clothing. – The bees will not reuse the straws or bamboo tubes. If you want to hang another house next year, you will need to replace them. You may have heard about the decline of honeybees. Scientists are trying to understand the reasons for hive collapses and find solutions. 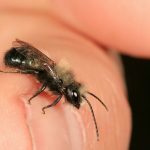 Unfortunately, our native bee species are having difficulties, too. Providing safe habitats is one way to give them a helping hand.